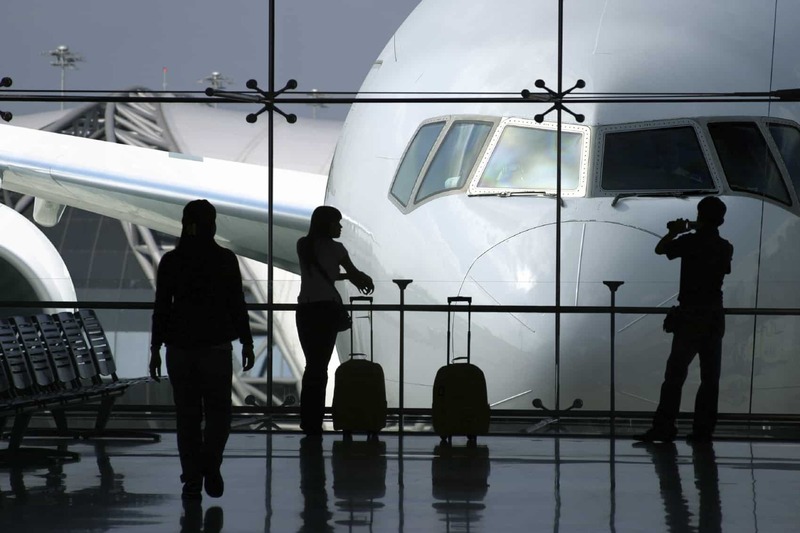 There are more than 300 Civil International Airports in Europe. Being curios, we decided to check what is the naming scheme used for naming Airports. In our minds, we though the name should serve be part marketing, part historical, and geographical. Bigger Airports are often located in the outskirts of big cities, suburbs, near smaller settlements or villages. It is quite common for them to be named after the nearest, or biggest settlement. We’ll go through several examples and see how big airports got their name. Originally a military airbase, Schiphol Airport was named after one of the 42 forts, part of the Defence Line of Amsterdam. A perimeter more than 130 km long, encompassing the city. The best place for this Airport happen to be there and naturally it was called Schiphol. It is a really good choice for a name – it has that Dutch ring, it’s short, with a clear historical reference. The airport of Barcelona is located in the municipalities of El Prat de Llobrega, therefore named accordingly. El Prat is easy to remember and one of the easiest names to pronounce (on the list). There is not a lot of history behind the name, but it sure sounds Spanish, it has 6 letters and is fast to write down. Also for those having fertile imagination and no knowledge in Spanish, this could easily be the family name of a vivid shipmaster from the mid ages. For all the others it could just be the Barcelona Airport as there is no other in the area. The Brussels National Airport occupies parts of two neighbouring municipalities – Zaventem and Steenokkerzeel. May be a toss of the coin decided, or maybe not. Taking Dylan Moran out of context, Steenokkerzeel sounds like “typewriters eating tin foil being kicked down a stairs”. Zaventem is a lot easier to process. This is one of the busiest European Airports and it is widely known as Brussels Airport. It would seem even Zaventem is not international enough. You will hardly hear anyone calling this airport by its official name. Kastrup, a suburb of Copenhagen, is how the Danes named the airport. While being a big airport, Denmark already had an airfield named Copenhagen Airport about 45km away. Malmi is about 10 km from Stockholm and shares name with the district it is located in. The main airport of Helsinki is Helsinki-Vantaa Airport as Vantaa is also name of the city where the airport lies. Malmi is used only for Civil Aviation and training, so if a passenger is talking about Helsinki Airport he surely means the one in Vantaa. Is the largest airport in Ukraine, named after the City of Boryspil, which is located out of Kiev. There is one more airport for passengers around Kiev. Its name is Kyiv International Airport Zhuliany. Zhulyany is a quarter in the south-west of Kiev, wherefore a bit closer to Kiev. As both airports are in service, the names definitely help travellers to go to the right airport. One more airport related to its location. Freguesia de Portela translates to “the parish of Portela”. It is a civil parish in the municipality of Loures. The busiest airport in Europe for years. It was not until 1965, when it was called Heathrow after a small hamlet. Gatwick Airport or London Gatwick is the second largest in the area. It was named after a manor owned by De Gatwick family – Gatwick Manor, the site of today’s airport. There is no mystery in the name of London City Airport. It was built on the site of former docklands, close to the City of London, for the needs of the London financial industry. London Stansted Airport is another international airport located in the vicinity of London, named after the village of Stansted Mountfitchet and located next to it. London Luton Airport is close to Borough of Luton and about 55 km from Central London. London Southend Airport is located at Southend Municipality at 60 km from central London. This is the largest Russian airport, located in and named after the town of Domodedovo. The second international Moscow Airport is Sheremetyevo International Airport, which received its name from the nearby village of Sheremetyevsky. The third and oldest operating airport serving Moscow is Vnukovo International Airport, once again with the name of the surrounding district. This is the main Oslo Airport. It is located in the Gardermoen at approximately 49 km north-east of Oslo City Centre. South of Oslo is Moss Airport Rygge. It is often called Rygge Airport as the village if Rygge is the place where the airport site is. Moss is the nearby town. It is another Norwegian airport serving the city of Sandefjord. The airport site is between Sandefjord and the village of Stokke. Stockholm Arlanda Airport. The Airport is named after the parish Husby-Ärlinghundra, which was previously called Arlanda. It is about 43 km north of the center of Stockholm, but it takes only 20 min with the Arladna Express. The other airport serving Stockholm is Stockholm Bromma Airport. It is 9 km from the central part of Stockholm and the nearest city is Bromma, hence its name. As shown above, almost all airports, mainly due to marketing purposes, have the name of the big town they serve included in their full, official name. Of course there are some, which have nothing else, but the name of a city followed by the Airport word. This official name of this airport is Dublin Airport – Aerfort Bhaile Átha Cliath, but you will usually hear people using the first half of it. The second part is in Irish and means “town of the hurdled ford”, which of course is a reference to Dublin. The leading German Airport, one of the biggest in the world and a Lufthansa Hub. The Airport is named after the city it belongs to, followed by “am Main”, which would probably make Frankfurt an der Oder more popular, rather than help someone go to the right Frankfurt. Here we have one named pretty straightforward. The main Latvian airport is just named after its capital city. This is the main airport of Bosnia and Herzegovina. Unofficially it is also called Butmir Airport, after the Sarajevo neighbourhood Butmir. This is the airport serving the capital of Bulgaria – Sofia. It is also called Vrazhdebna. In English this could be translated as – “hostile”. Rumour has it that during the wars, due to the frequent fog blankets, the airport was usually hidden and therefore called Vrazhdebna. It is the only airport serving the 316 square kilometer country. It is sometimes called after the main city – Valletta Airport and also Luqa Airport. Luqa is a small village next to the Airport at 7 km from the centre of Valetta. The airport is located in the town of Schwechat at 15 km from central Vienna .That’s why it is also called Schwechat Airport. It is the only airport serving Vienna and is a hub for Austrian Airlines. Zagreb International Airport. The main international airport of Croatia is also called Pleso Airport. Please is a nearby suburb of Zagreb. Zurich Airport. The biggest international Airport of Switzerland. Often called Kloten, after one of five municipalities surrounding the airport site.